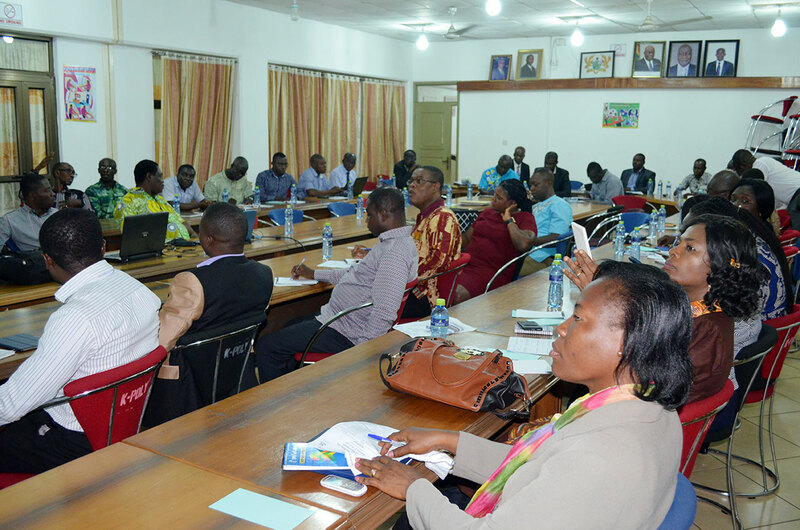 Under the auspices of the Partnership for Applied Sciences (PASS), a two-day sensitisation and capacity-building workshop aimed at “Transforming all Teaching Modules into Competency-Based Training” has been organised for the faculty members of Kumasi Technical University (KsTU). The two-day workshop which has been held between 21st and 22nd March, 2018 on the campus of KsTU)seeks to equip all the teaching staff with the relevant skills to change course contents and the mode of delivery to be in line with the competency-based training method. The training is part of the series of capacity-building activities designed to give meaning to the conversion of the polytechnics to Technical Universities. It would be recalled that the PASS project was won by two Technical Universities in Ghana that is, KsTU and Cape Coast Technical University (CCTU).Among other things, the PASS project is geared towards building the capacity of the staff of the two Technical Universities and also help to seek funding for carrying out projects in the niche areas of both KsTU and CCTU. The PASS project has a four-year duration with a funding regime spanning from July 2017 to 2021 under the sponsorship of German Academic Exchange Services (DAAD/MIWF) in Germany. The project is being spearheaded by Hochsule Bonn-Rhein-Seig University of Applied Sciences with Ms Sonja Keller as the Project Manager. Other Universities from Germany which are involved in the project are TH Koln University of Applied Sciences and International Hochsule Bad Honnef-Bonn International University of Applied Sciences. Opening the workshop, the Interim Vice Chancellor of KsTU Prof Asiama Yeboah charged all participants to play their part to make the two-day programme very successful. The training attracted other participants from CCTU (Mr. Benjamin Attom and PASS Project Coordinator, CCTU) and the University of Cape Coast. The facilitator for the workshop Ing. Dr. Julius Borkloe encouraged all participants to be very much involved in the training and all its practical aspects since it will enable them convert all their courses to into the Competency-Based Module.